French raw depressive black metal. Droning guitars, simple, muffled drums and unhinged screams. Free/name your price via bandcamp. 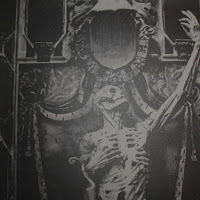 could you upload Nergal - "Night Full of Miracles - Night Sown with Spells"? the same problem with Stellar Master Elite - III Eternalism The Psychospherical Chapter (2015). Nope, don't have it. Also: You gotta keep it simple. If there's an album that you just can't seem to find, feel free to hit me up, but I'm definitely not about to upload an entire discography.